At least three videos showing couples sharing intimate moments in the elevators of Hyderbad metro stations are doing rounds on the social media. Hyderabad: At least three videos showing couples sharing intimate moments in the elevators of Hyderbad metro stations are doing rounds on the social media. 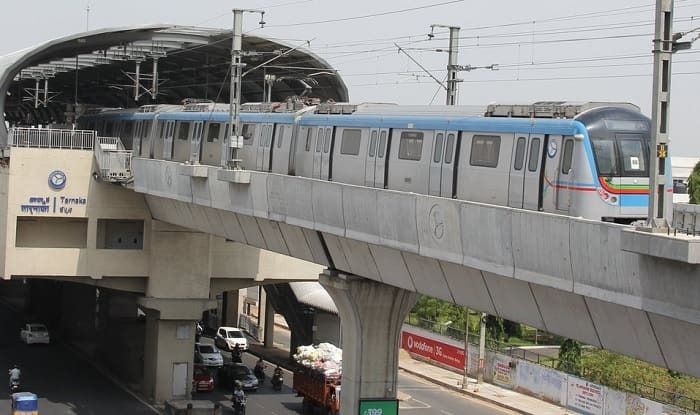 The CCTV footage have been obtained from Hyderabad Metro Rail Limited’s control room and bits of them are being widely shared on the internet. The authenticity of the footage accessed by the media, has been confirmed by the official spokesman of the HMRL. Speaking to the media over the issue, the spokesman was quoted as saying that ‘appropriate steps would be taken to improve surveillance to prevent such kind of misuse of elevators’. He also added that a proper investigation has been launched to probe what resulted into the leak of videos. In two of the viral videos, the couples can be seen sharing intimate moments completely unaware of the CCTV presence in the elevator. However, in the third video, the couple eventually spotted the camera. Elevators installed at the Metro station premises are meant for facilitating movement of the old and the disabled between platforms and other floors. Meanwhile in Delhi, the Central Industrial Security Force (CISF) had recently decided to approach Delhi Metro Rail Corporation (DMRC) to make a fool proof arrangement for the monitoring of CCTVs in the stations. The CISF is responsible for providing security to the national capital’s metro services.